At the beginning of each school day, our students are invited to play. They choose from several activities that rotate on a weekly basis depending on the concept we are teaching. Students can stay on one task, or they may rotate to all of the stations as they wish. Some days, all of the children work on something together, and other days, they work individually. 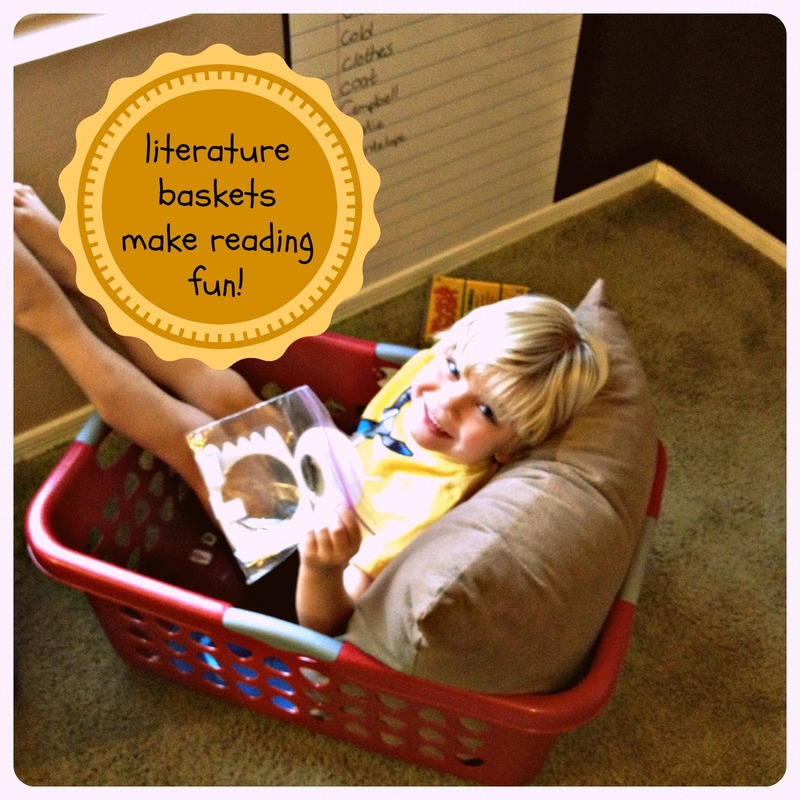 A staple of our morning invitation to play is our literature basket, which is simply a laundry basket with a book, a pillow, and some related items inside. It’s a cozy place for a student to curl up with a good book. This special, unique place encourages reading because the students are eager to explore the basket and settle in. It’s perfect for a time when a child just wants to relax, have fun, and experience literature in a whole new way.